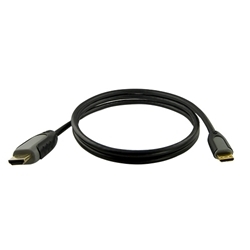 - HDMI to Mini HDMI cabling. 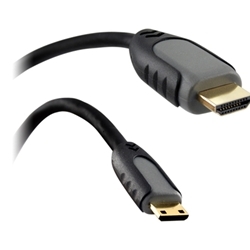 - HDMI audio / video cables are ATC certified. - Provides the most reliable signal transfer. - Unlike most HDMI cables, Inspire Audio video cables use individual, shielded twisted pair wires for unsurpassed video signal. - 24 K gold Plated Connector. - 8 Multi Channel Audio cable . - 1.3B cerftified, latest version.